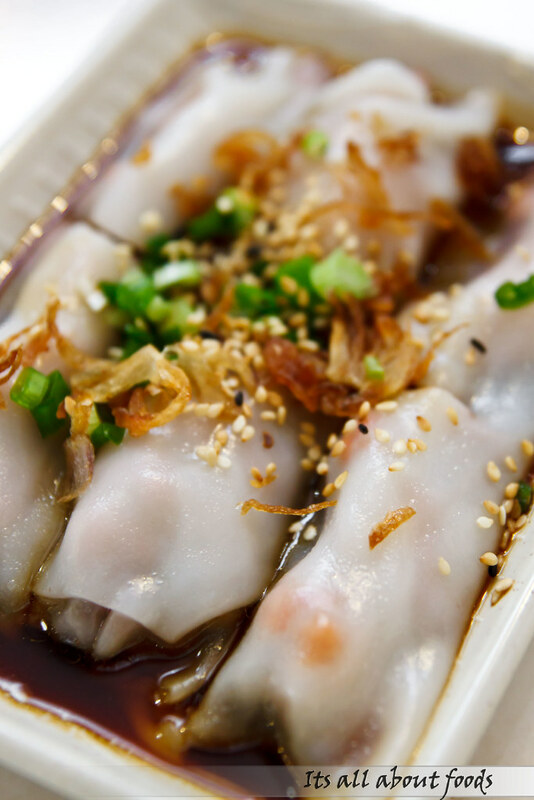 When coming to dim sum, we always look for dim sum shops which serve decent dim sum at a cheaper price. But the down side is, these shops are always crowded, especially during weekends and peak hours. For almost every visit, we need to queue, bear with the heat and crowd, sweating all the way while having dim sum. This make our meal less enjoyable and at this moment, we start thinking how good if we could have our dim sum inside a restaurant or hotels, fully air conditioned and the taste of dim sum is in higher quality as well. However, we know that we will have to pay for what we get- A bill that will burn a hole in our pocket. So we are quite happy when we found Old Friends’ Dim Sum, a new eatery in Puchong opened just in August this year. 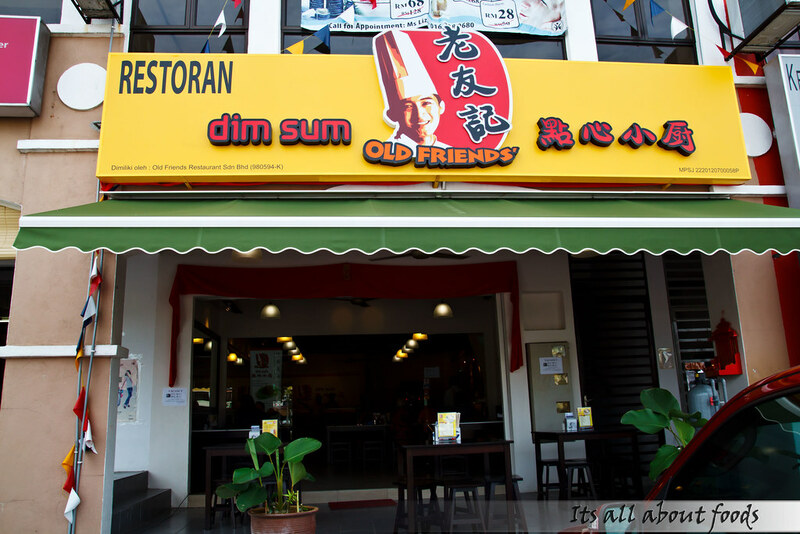 Old Friends’ Dim Sum serves quality dim sum comparable to those in hotels and restaurants, but at the same time keeps the price low and reasonable to cater the needs of many. Here, instead of having Har Gau and Siu Mai as signatures, they have varieties of speciality that you hardly come across in other dim sum shops, such as the Steamed Grouper Fish Paste with Ginger Topping. Signature dim sum in Old Friends’, huge in portion and looks deceiving. 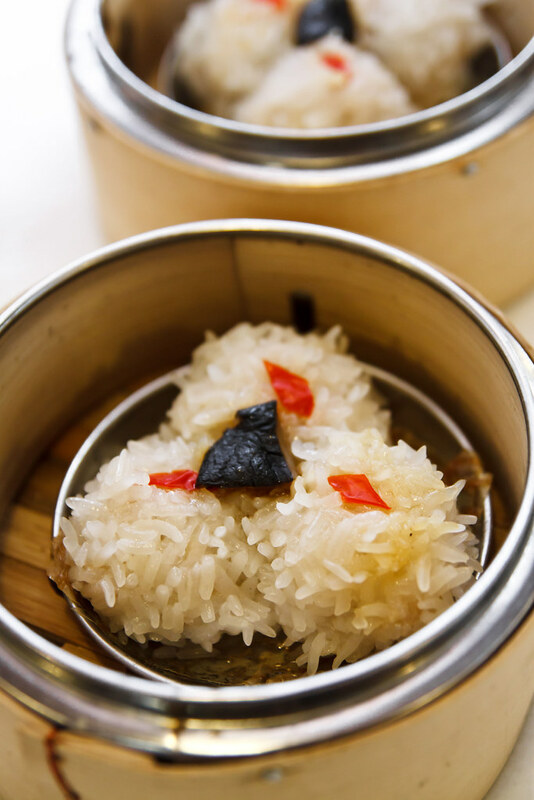 Take a bite into it, we could feel the fleshy and meaty texture of Grouper fish paste surrounding our palate, and the ginger paste topping the dim sum makes it tastes more delightful. Definitely the must try in Old Friend’s. We found this dim sum rather interesting. 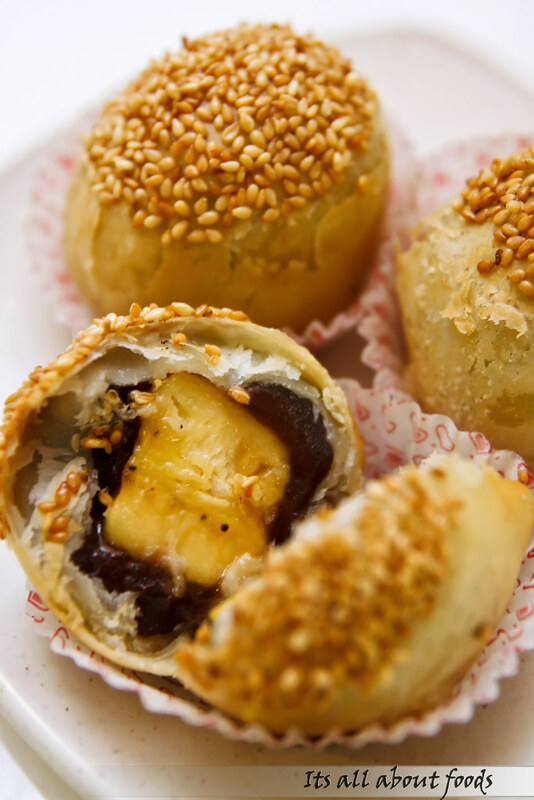 Instead of using the usual dumpling skin or bean curd sheet to roll up the minced meat, glutinous rice is used as the “ shell”. 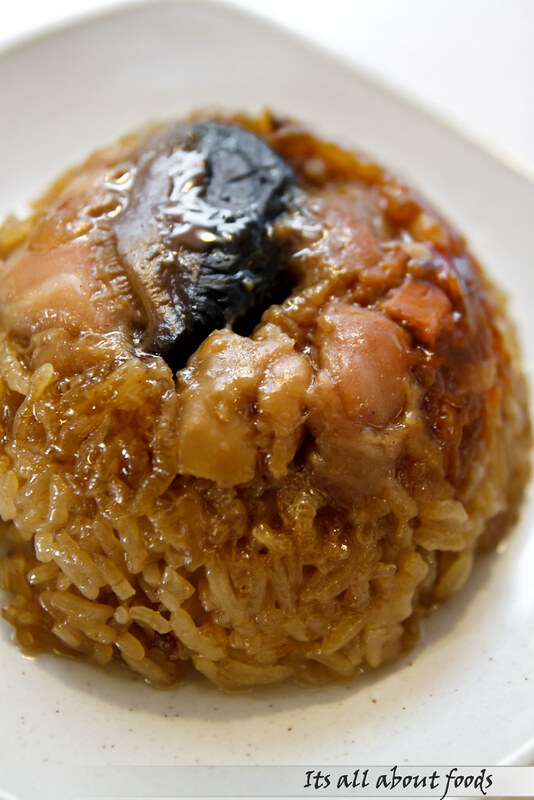 The light sweetness of the glutinous rice coupled well with the savoury meat fillings, promoting chewy texture as well. We tried dumplings in spicy red oil couple of times before, and this is the first time we encountered steamed carrot cake in spicy red oil. 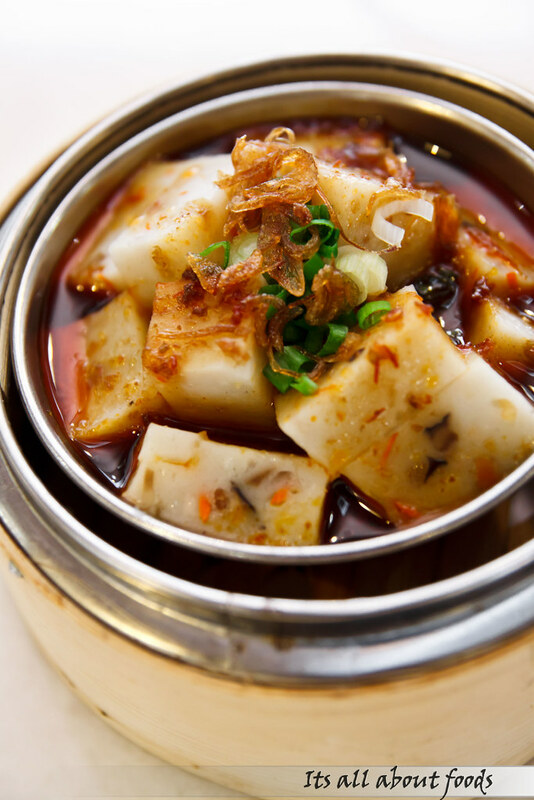 Steamed carrot may be too pale and simple for some, so a touch of spiciness from the red oil has managed to turn this dim sum to something flavourful and appetizing. This deep fried dim sum can be easily likened by everyone, for it is served fresh, pipping hot with addictive crunchiness. Every mouthful is satisfied with crunchy yam paste outer layer and creaminess from the inner fillings, minus the greasiness. Very flaky pastry, surprisingly comes with sweet red bean and banana fillings, which turns out marvellously good, so good that it makes my girl tuck into second helpings. “The amount of carrot used in preparing carrot cake determine the softness of the cake. When more carrot is used, the cake will turn out softer and more fragrance. If you happened to munch into hard and dull carrot cake, this means that the carrot cake is largely prepared from flour, ” said the shop’s owner. Old Friends’ version is good and decent, for the carrot cake soft and fragrance, so we do believe the chef is not stingy with the use of essential ingredients. The whole plate of stirred fried carrot cake is full of wok hei, and we were told that the bean sprouts used are specially chosen too. 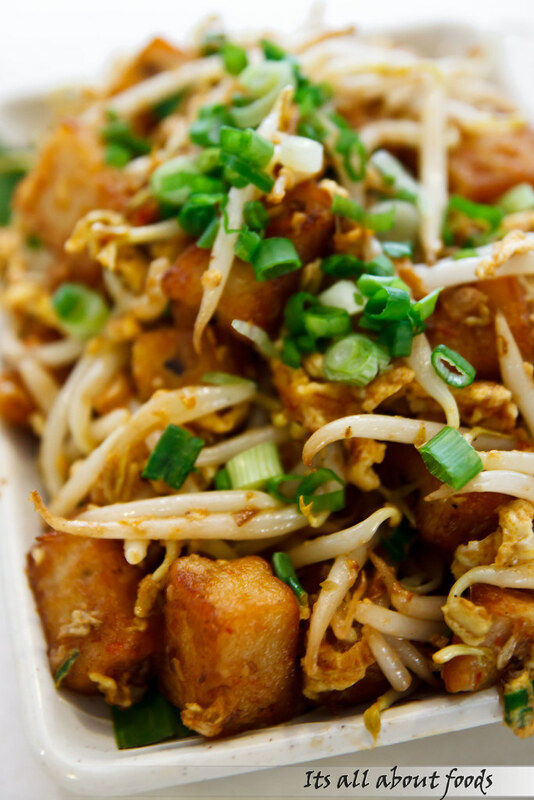 Though it is named Vietnamese Style, we feel that it tasted very alike to Thai fish cake. However, we do not want to put borders to the origins of the food, as long as it taste good. 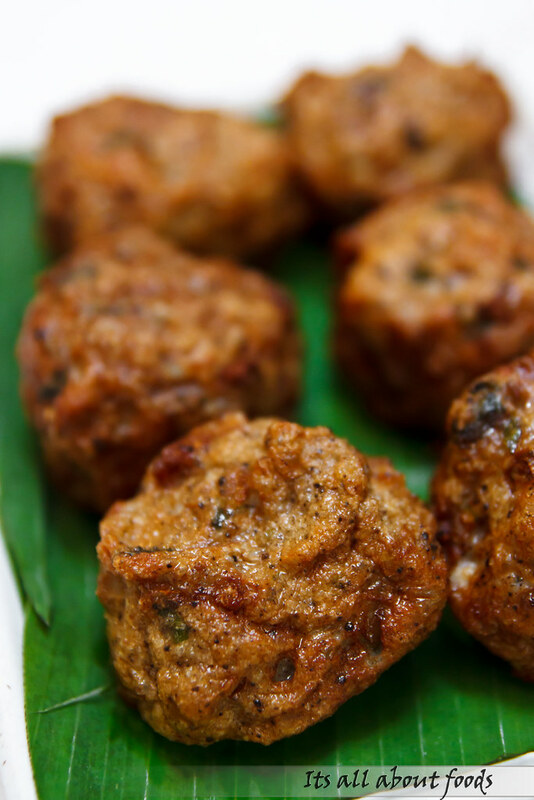 And YES, this deep fried meat ball is delicious without any chilli sauce needed. 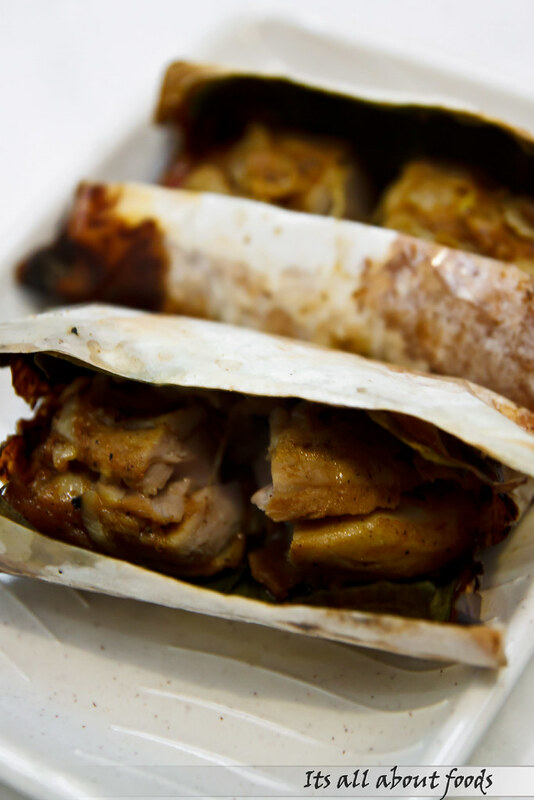 Not the taste of paper wrapped chicken we usually eat, for the sauce is rather special, can’t really determine the sauce belongs to which category, but the sauce somehow lies within the taste of satay, rendang, and terriyaki. Curious? Try out yourself. It worth a try. 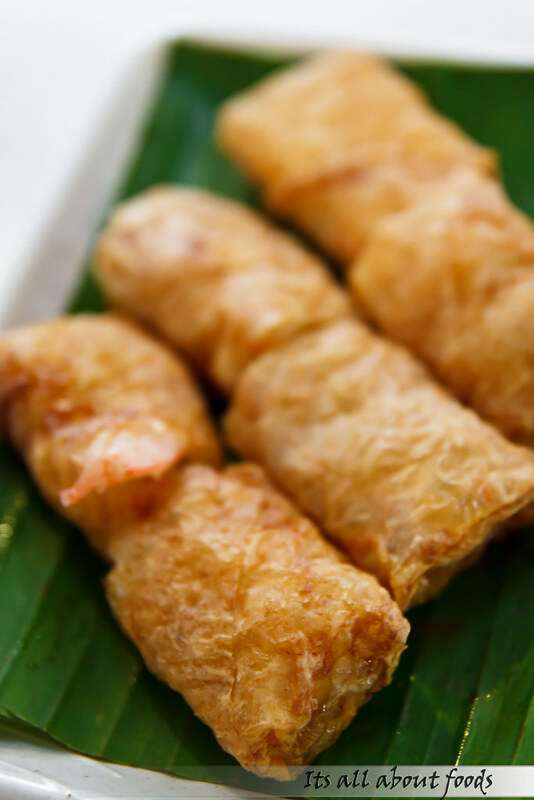 The fried beancurd rolls with shrimp is well fried into golden brown, crispy with succulent fresh prawns as fillings, and goes well with a dip of mayonaise which is added with some zingy taste. Nice, and what better is, it is not oily at all. 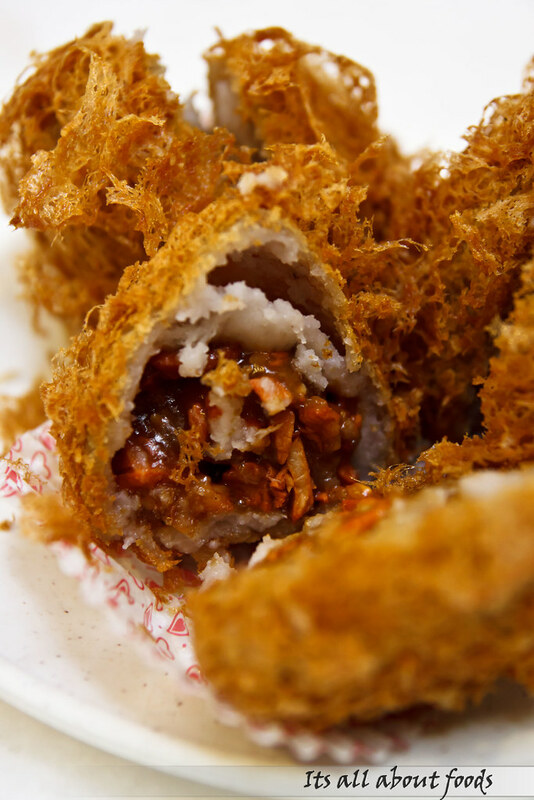 The boy like the ” zha liong”, for he enjoyed the crispiness of crullers that is wrapped with the soft rice roll. Nothing fancy, just delicious. We did try out some usual dim sum such as the steamed rice roll with ” BBQ Pork” which is equally good, where the rice roll is very smooth, smoother when eating with the savoury dark sauce. 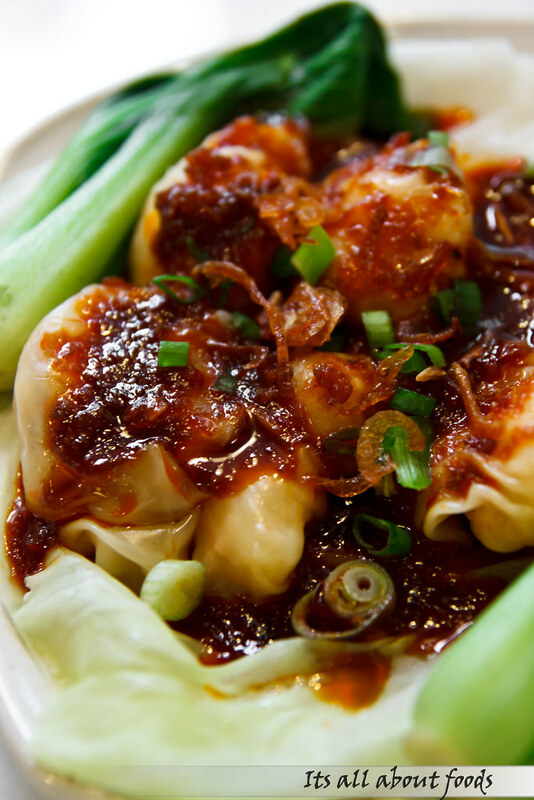 We never failed to like spicy food, so this dumpling with chilli and vinegar easily gained our liking. 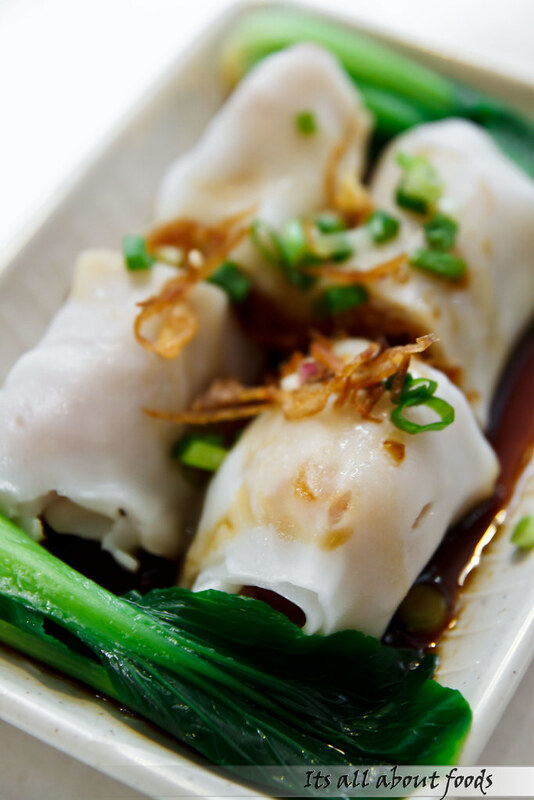 Ladled with chilli oil, the wantan like dumpling is smooth with a hint of spiciness that triggered your taste bud. 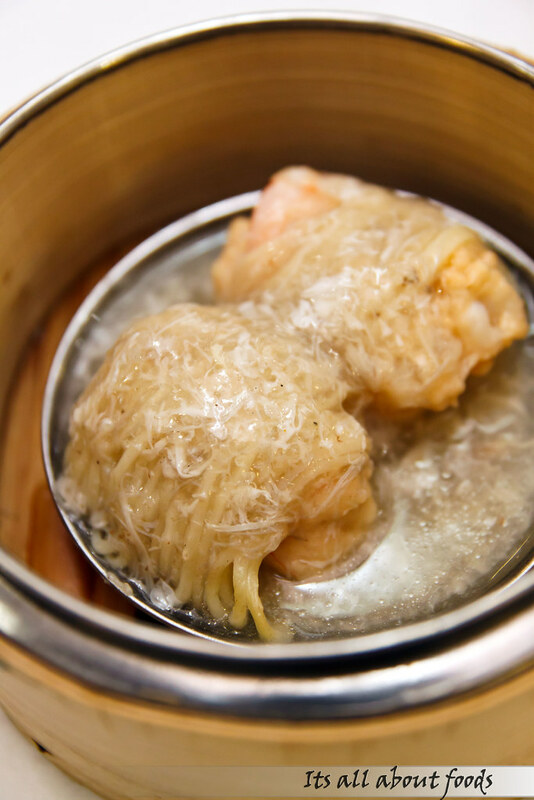 Comparing to other dim sums, their chicken glutinous rice is on the pale side, taste ordinary. Both are signatures drinks in Old Friend’s. Since the water chestnuts are hand chopped by the chef, one can still taste the crunchy texture of the water chestnuts bits, making every sip of the Old Friends’ Water Chestnut drink more enjoyable. 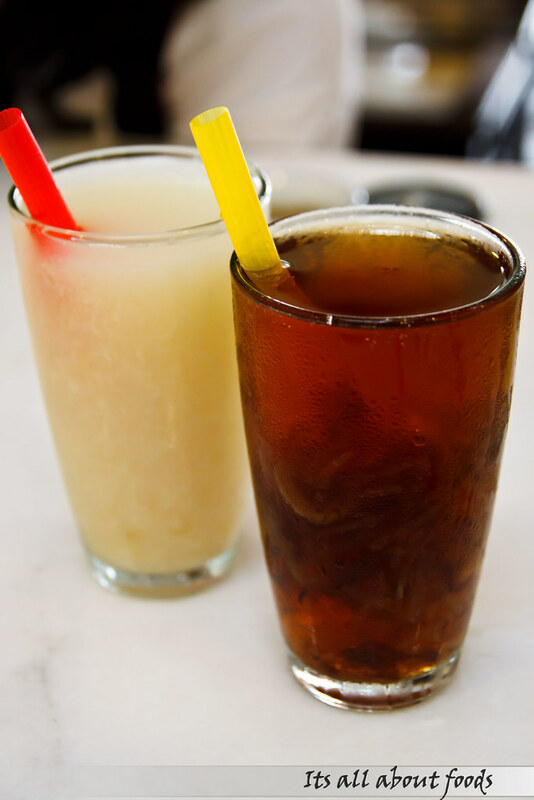 The Old Friend’s’ Melon & Longan too, are chilling and thirst quenching, serves as good company to dim sum too. Who says dim sum must come with Chinese tea? 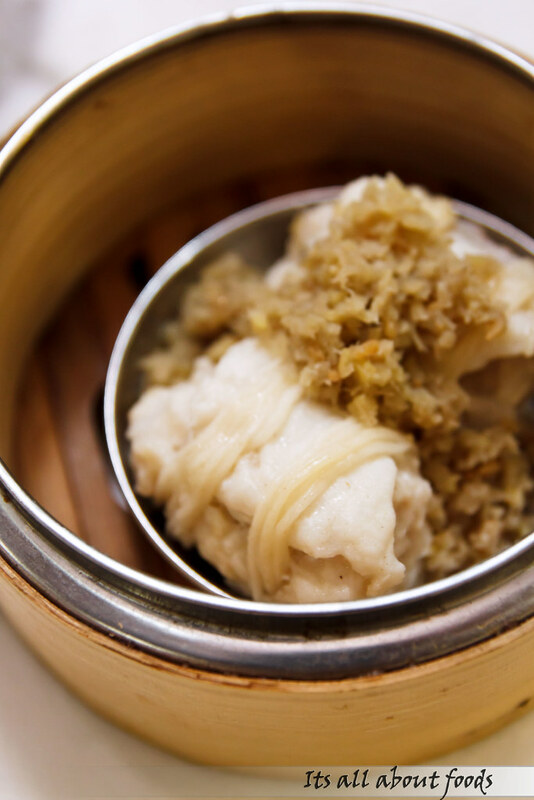 Overall, we find this new dim sum shops worth second and third visit, we especially like their Steamed Grouper Fish Paste with Ginger Topping and Steamed Crabmeat Roll. Banana Red Bean Roll looks great!!!! They are so creative in a way! ;D well, as a puchong lady, surprisingly I didnt notice this new dim sum..;P thanks for sharing ! Im gonna try it one day! The dim sum there quite special, can go there have a try next time. =P Haha.. we also din realize got such dim sum shop also lo. First time been to that area.